KJ Torgerson's on her phone in front of the downtown federal courthouse, trying to secure more money and stretch every dollar as far as it will go for North Idaho CASA. ​After she gets off the phone, you can see it in her striking blue eyes —- these are challenging times for the program's CEO. She knows abused kids could be lost in the justice system if things don't change dramatically — and soon. Camie Wereley has spent nearly two decades serving North Idaho’s most vulnerable community members: children and adults who have been neglected and abused. 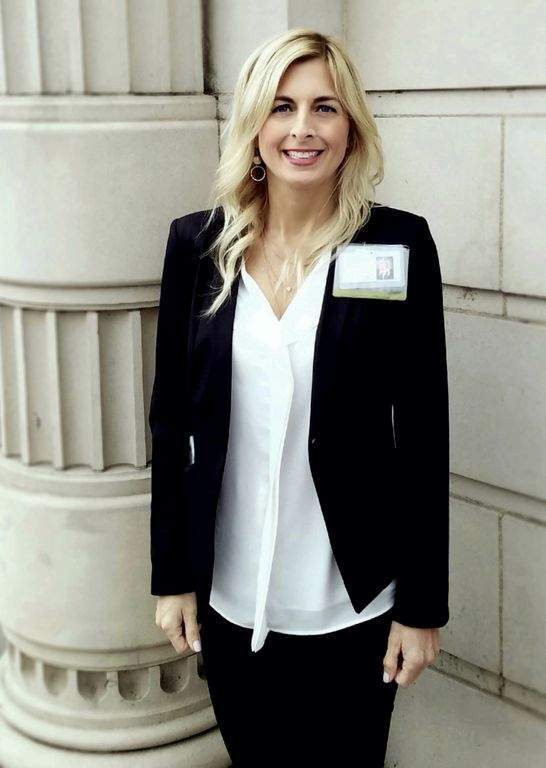 Wereley, of Coeur d’Alene, began volunteering as a court-appointed special advocate with North Idaho’s CASA program in 1997. 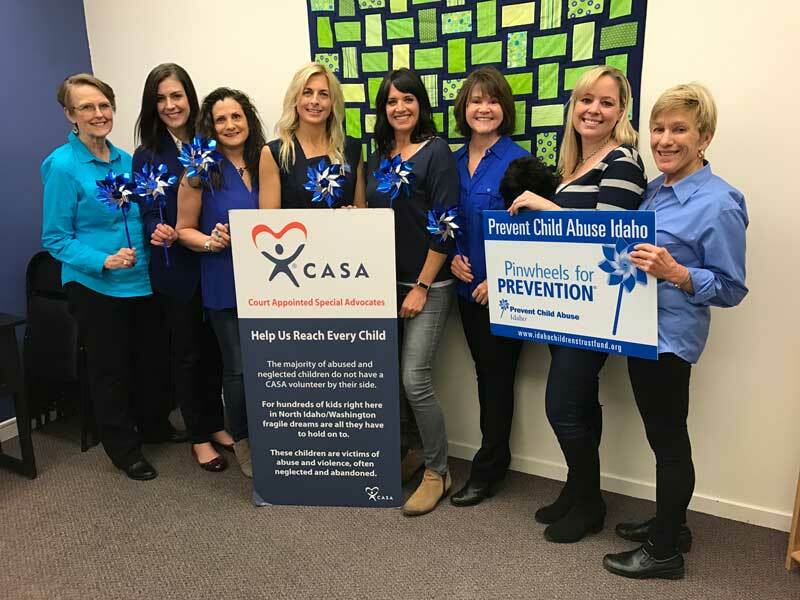 CASA’s volunteer advocates are entrusted by the courts to look out for the best interests of children who have been removed from their homes due to neglect or abuse. ﻿﻿Kappa Alpha Theta of University of Idaho, Moscow Shares Their Love For CASA! The members of Kappa Alpha Theta, located at the University of Idaho, Moscow, went above and beyond to share their love and support for the children in the CASA system. One part of their charitable mission was creating multiple tie-blankets to provide warmth and comfort to the children who have been separated from their families. For children who have been separated from their families due to abuse and neglect, these blankets can provide the simplicity of childhood and compassion. 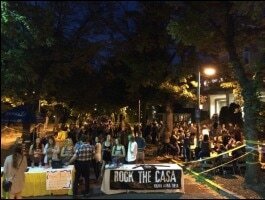 The second part of their charitable contribution was hosting a fun filled evening called Rock the CASA which included live bands, great food, and a great cause to support. Kappa Alpha Theta has been an ongoing sponsor of CASA throughout the country and continues to be one of the most loyal and dedicated organization helping to support children in the family court system. 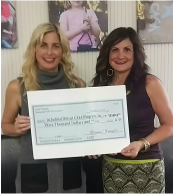 Donna Wemple & Family donate $3,000.00 to CASA from The Scott Wemple Memorial Golf Tournament held on August 16th, 2015. The golf tournament has been a regular supporter of the North Idaho CASA organization. North Idaho CASA was a recipient of a grant awarded by the Cancer and Community Charities (3 C's) on August 21, 2015 at the 3 C's annual award luncheon at the Coeur d'Alene Resort. This year, the 3 C's distributed over $100,000 between 32 Kootenai County non-profit organizations. 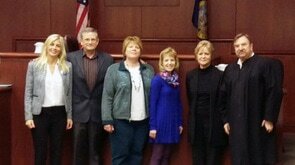 CASA appreciates the 3 C's dedication to their community and is proud to be a partner with them in serving the children in Kootenai County. Sharmon Schmitt, CASA Board of Directors member, received the award on behalf of CASA. To learn more about 3 C's and how they raise these funds to give back to the community, read the Coeur d'Alene Press article here.